Newton was even more ahead of his time than we imagined. Not only did he come up with the laws of motion, he also came up with the concept of sockpuppets centuries before the beginning of the internet. Most people who are on message boards or in internet communities will have had experience with a sockpuppet. When someone has posted something controversial, or when they're getting piled on in an argument, a new person suddenly steps in. They champion the underdog's viewpoint and belligerently attack whoever disagrees. A quick check of writing style or IP addresses shows them to be none other than the underdog. Sockpuppets can give be simple, posting quick messages of agreement, or can have elaborate backstories, start fights over and over, and have long conversations with what turns out to be themselves. They seem like an invention of the internet, but they have deep historical roots, and an impressive pedigree. 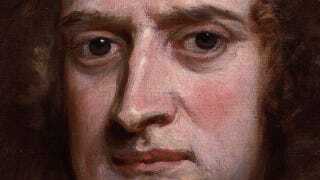 Sir Isaac Newton is generally known for two different things - being brilliant and not being very nice. Those two traits resulted in an infamous scientific conflagration when Newton and Gottfried Leibniz got into a dispute about who invented calculus. Newton, it seems, came up with the idea first. However, Leibniz invented the idea independently, thought it through more thoroughly, and had the guts to publish first. Once claims of plagiarism were made, both men had factions that lined up behind them, and both wanted the dispute to be settled by a scientific authority. Newton picked The Royal Society of London for Improving Natural Knowledge to look into the dispute. To his credit, they were a towering authority on scientific understanding. Less flatteringly, they were completely under Newton's thumb. Newton decided who was to be on the committee that "settled" his claim, and exerted some pressure on the committee members to ensure that the report reflected favorably on him. Then he went just a little bit farther - into the future, even. Just a short while after the report came out, the journal Philosophical Transactions published a review praising it. The review backed up the report, creating an impression of general and impartial scientific consensus. Leibniz by and large lost the fight with Newton, lost the respect of many, and died poor and relatively uncelebrated. Since then, history has revived Leibniz's reputation. For one thing, his carefully-thought out notation is still used. For another, few dispute the fact that he independently invented calculus. And, lastly, it is now generally known that Newton wrote the Philosophical Transactions review. That's right, not only did he pick the committee investigating him, and tailor their report to his wishes, he created a sockpuppet to influence how people would regard the report. Gravity and sockpuppetry, it can all be traced back to Newton.